All of our efforts today will have little purpose tomorrow if we don't have a constituency that cares about the mission of Pheasants Forever. That's why our education and youth programs are so important! As part of a national movement to get kids unplugged from electronics and turned on to the outdoors, PF has created the NO CHILD LEFT INDOORS® initiative. Our goal is to take every opportunity at the national, state and local level to introduce youth and their families to the outdoors; teach them about habitat, wildlife and outdoor recreation; instill an appreciation of natural resources and encourage them to be conservation-minded citizens. All of the St. Louis/Carlton County Youth Mentors must complete the MN DNR Mentor program and successfully pass a thorough background check. Learn about all of the ways you can be involved and what we are doing to make sure no child is left indoors! Youth Members: Becoming a Pheasants Forever "Ringneck," or youth member, is a fun and exciting way to get involved with other outdoor enthusiasts who love wildlife and being outdoors. For more information and to become a member, contact our Youth Director, David Lood. Chapter Youth Programs: Nationally, Pheasants Forever holds more than 500 youth events a year connecting 25,000 plus youth to the outdoors. They reach out in their communities to sponsor youth mentor hunts, outdoor conservation days, shooting sports competitive events, conservation camps, youth fishing tournaments, outdoor expos, hunter education classes, schoolyard habitat projects and much more. Leopold Education Project: An environmental education program based on the classic writings of the renowned conservationist, Aldo Leopold (A Sand County Almanac). National Youth Leadership Council: The National Youth Leadership Council is made up of 20 young people from around the country that were nominated by their Pheasants Forever or Quail Forever chapter for their community involvement and conservation interests. They are the spokespersons for their age group on hunting and conservation issues and advise Pheasants Forever and Quail Forever on youth programs. 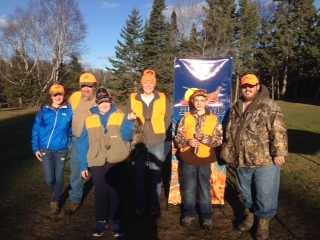 Pheasants Forever chapter youth events, including youth mentored pheasant hunts, help youngsters develop knowledge and passion for the outdoors, and plant the seed for the conservationists of tomorrow.